Indie Game Developer and Publisher JanduSoft have announced that their retro inspired platformer V.O.I.D is coming to the Nintendo Switch. The game will release on the Nintendo Switch eShop on February 28th. Starting today until release day, there is a special pre-order discount of 15% off. Preordering a digital game? Silly! As if it were going to run out of copies! 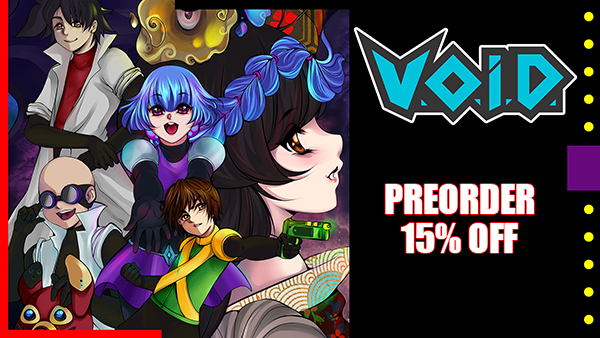 What is going to run out is this awesome offer: preorder V.O.I.D. before the release day (February 28th) and get it 15% OFF!